When you purchase headphones, they can come with one of two types of pads: sound-isolating or foam "cue" headphones. Cue headphones are designed to allow listeners to hear any cues they may be given as well as the audio that they need to monitor. Sound isolating pads are the best way to insure that outside noise is reduced. There are no modifications that can be made to the headphones aside from this that will block out sound. 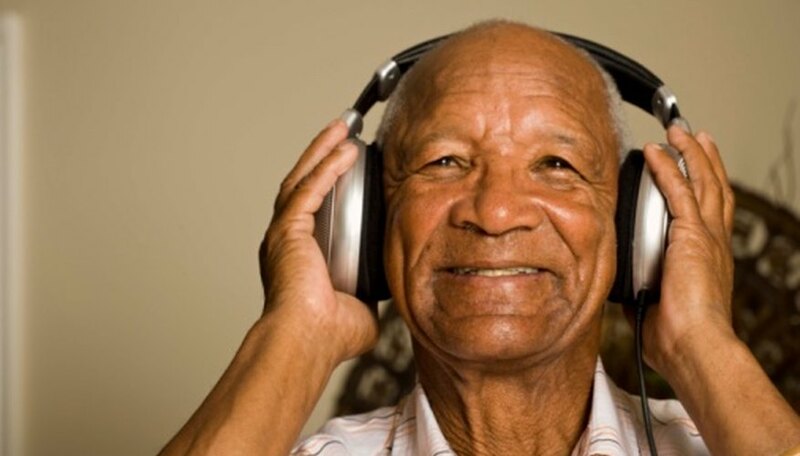 If your headphones are older, the pads may be worn and new pads could help cut background noise. Look on your headphones or their packaging and locate the model name or number. Many sets of high-end headphones like Sennheisers offer different types of ear pad for certain models. Go to your headphone manufacturer's website and see if they have your pad type in stock. You should look for the "sound-isolating" type of headphone pads. They will be black and often made of foam. The phone pads will form a cup over the ear, blocking out the sounds from your surroundings. If your headphones are older, the company may have stopped carrying pads for the model. If this is the case, you may need to search third-party sites for pads. Remove the old pads from your headphones by tugging the edge of your existing pads and pulling forward. Install your new pads by fitting the back hood around the body of each earpiece. You will need to stretch your pad slightly so it can fit over the earpiece.